The AHEAD Act was the second iteration of an earlier data disaggregation bill that had passed the California Legislature with near unanimous support in 2015; that bill was inexplicably vetoed by Governor Jerry Brown last year. 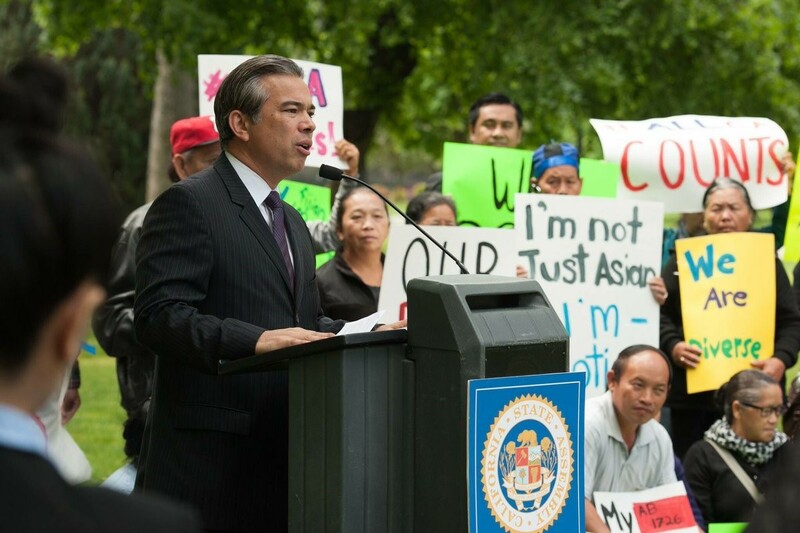 This year’s AB1726 emerged out of discussion between AAPI advocates — including Assemblyman Bonta, as well as groups such as SEARAC, APIAHF, CPEHN and EPIC — and the governor’s office in hopes that a new version of the bill could be drafted that might satisfy the concerns of all parties. Upon introduction, AB1726 immediately garnered the same strong multiracial and bipartisan support as earlier attempts. 120 California-area organizations formally supported the bill, as did 35 national AAPI organizations who are associated with the National Council of Asian Pacific Americans network; Chinese for Affirmative Action also offered their approval of the bill. The bill was also strongly supported by the entities that oversee California’s colleges and universities, who were among those who would be required to implement the bill’s new mandates. 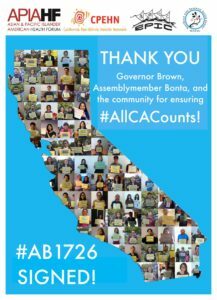 However, Asian American opponents of affirmative action launched a confounding effort to oppose AB1726, arguing that AB1726 was a “backdoor” to affirmative action in the state. Organizing predominantly through Chinese-language social media outlets such as WeChat, opponents staged rallies and published memes calling the bill “racist” and likening it to the early days of Germany’s Holocaust. Republican California State Senator Bob Huff lead the charge against AB1726, and the bill also received dubious opposition from Ro Khanna, a Democrat running to unseat Representative Mike Honda. The arguments against AB1726 were baffling; I still struggle to understand how data disaggregation could be a controversial topic, and I, moreover, fail to see how the AHEAD Act is anything like Chinese Exclusion, Japanese American incarceration, or German concentration camps. Nonetheless, the AHEAD Act was amended earlier this summer to remove official requirements on California’s collection of higher education data. We received great news today– Governor Brown signed my AHEAD Act (AB 1726) which provides for Asian Pacific Islander (API) disaggregated data! The AHEAD Act addresses a very important need within our API communities. Many ethnic subgroups within the API community are falling behind with respect to health outcomes and our policy makers haven’t had detailed, accurate data to address these disparities. AB 1726 requires the state health department to disaggregate data for specified ethnic subgroups. The data to be collected by AB 1726 will give the state a better understanding of the needs of each of these API subgroups. And in addition, UC and CSU, working closely with our office, have committed to releasing disaggregated educational data they are collecting to help us understand API admissions, completion, and graduation rates. I strongly believe that having good data will help us create better policy, and help us uplift ALL of our API communities! Thanks for everyone’s support on this! This blog wants to thank all the many activists and elected officials who courageously invested their time and energy into helping the many underserved and struggling Asian Americans and Pacific Islanders who too often languish, invisible and unheard. Passage of AB1726 brings California a step closer to ensuring that all Californians — and particularly, all AAPI Californians — finally count.